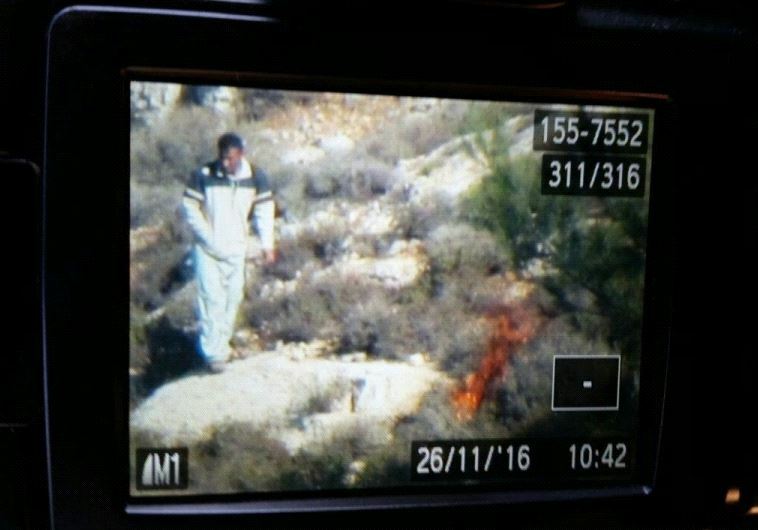 A Palestinian terrorist was captured on camera starting fires in Israel. Terrorists have started over 200 fires in Israel this week. Prime Minister Netanyahu calls it terror by arson. The IDF and police captured a suspect that was sighted by a Nature and Parks Authority worker starting a fire in the north-western Etzion region. The suspect was handed over to the Shin Bet (Israel Security Agency) for investigation. The IDF spokesperson’s unit stated that during the night an IDF force near Dir Kaddis in the Ephraim region captured three suspects in a vehicle that had two full bottles of fuel, one empty bottle of fuel, a sack with fabric, gloves and lighters.